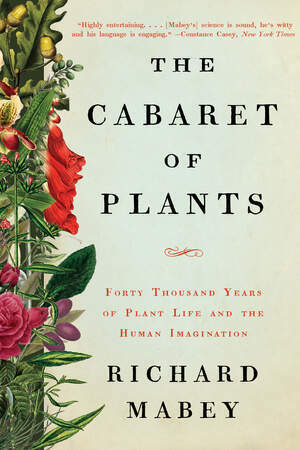 The Cabaret of Plants is a masterful, globe-trotting exploration of the relationship between humans and the kingdom of plants by the renowned naturalist Richard Mabey. A rich, sweeping, and wonderfully readable work of botanical history, The Cabaret of Plants explores dozens of plant species that for millennia have challenged our imaginations, awoken our wonder, and upturned our ideas about history, science, beauty, and belief. Going back to the beginnings of human history, Mabey shows how flowers, trees, and plants have been central to human experience not just as sources of food and medicine but as objects of worship, actors in creation myths, and symbols of war and peace, life and death. Writing in a celebrated style that the Economist calls “delightful and casually learned,” Mabey takes readers from the Himalayas to Madagascar to the Amazon to our own backyards. He ranges through the work of writers, artists, and scientists such as da Vinci, Keats, Darwin, and van Gogh and across nearly 40,000 years of human history: Ice Age images of plant life in ancient cave art and the earliest representations of the Garden of Eden; Newton’s apple and gravity, Priestley’s sprig of mint and photosynthesis, and Wordsworth’s daffodils; the history of cultivated plants such as maize, ginseng, and cotton; and the ways the sturdy oak became the symbol of British nationhood and the giant sequoia came to epitomize the spirit of America. Complemented by dozens of full-color illustrations, The Cabaret of Plants is the magnum opus of a great naturalist and an extraordinary exploration of the deeply interwined history of humans and the natural world. Sales Territory: Worldwide including Canada, but excluding the British Commonwealth and the European Union.